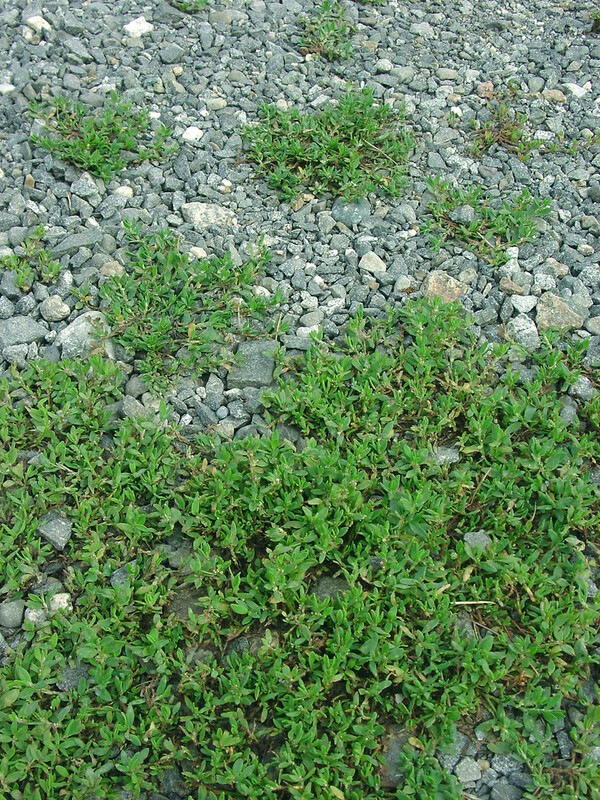 Dooryard knotweed shows so much variability that it can be thought of as a swarm or complex of selfing annuals. 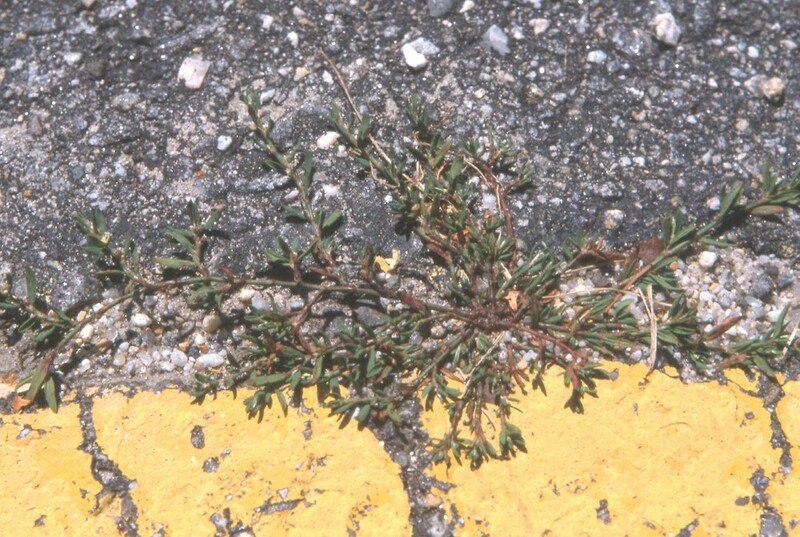 It is found in fields, roadsides, cracks in sidewalks. outer 3 tepals cucullate, much wider and often longer the inner tepals, partially or completely concealing them, usually with a pouch-like protrustion near the base (vs. P. aviculare, with the outer 3 tepals flat or folded, of approximately equal width and length to the inner tepals and not or scarcely concealing them, without a pouch-like protrusion at the base). 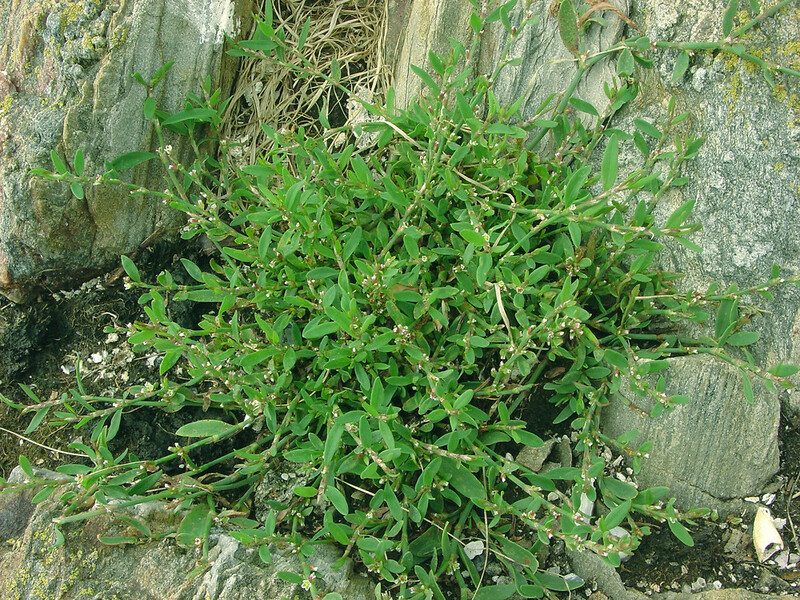 Polygonum aviculare var. depressum Meisn. 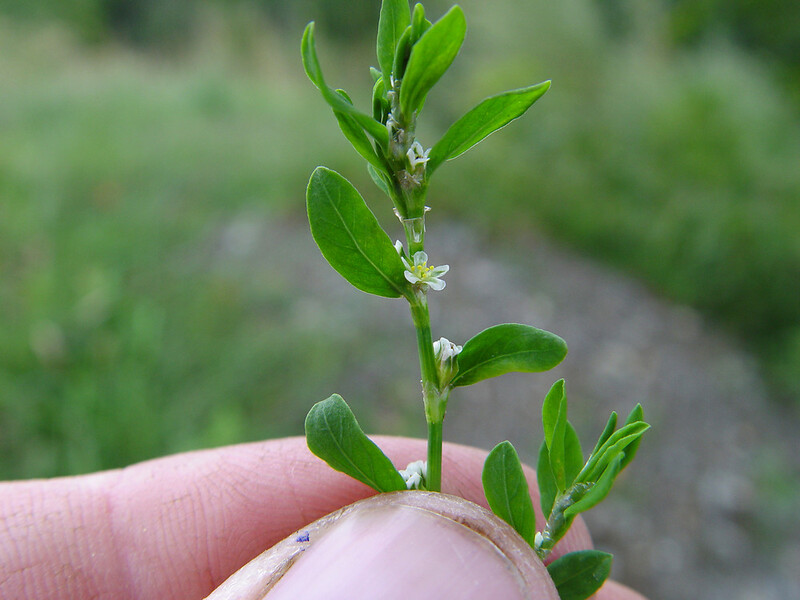 Polygonum aviculare L. ssp. 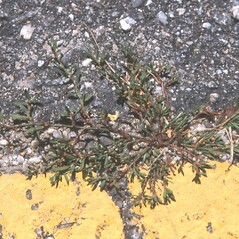 aviculare is known from CT, MA, ME, NH, RI, VT.P. 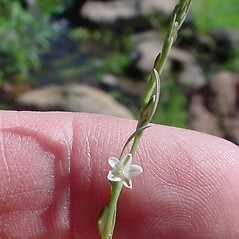 aviculare ssp. depressum (Meisn.) Arcang. is known from CT, MA, ME, NH, RI, VT.P. 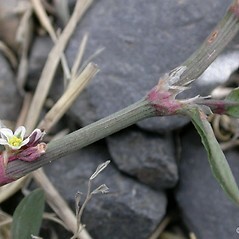 aviculare ssp. 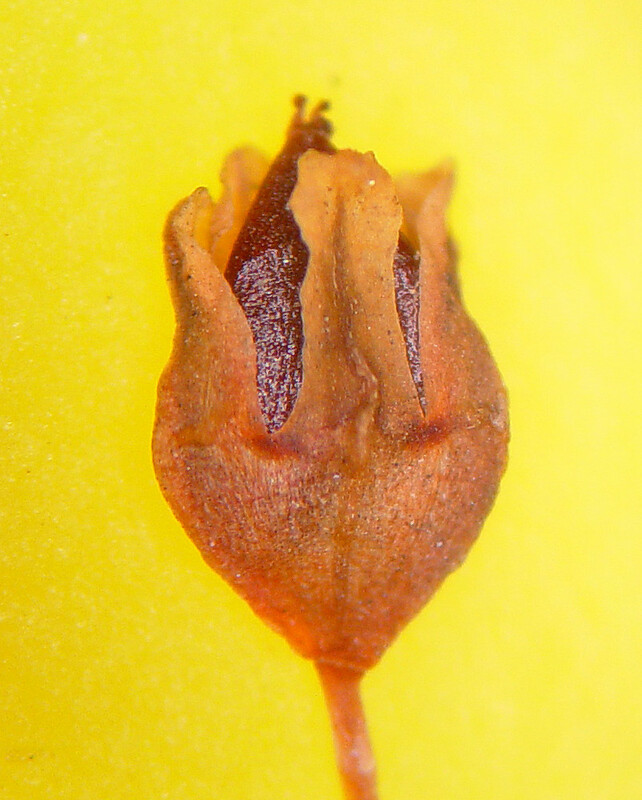 neglectum (Bess.) Arcang. known from CT, MA, ME, NH, RI, VT.P. 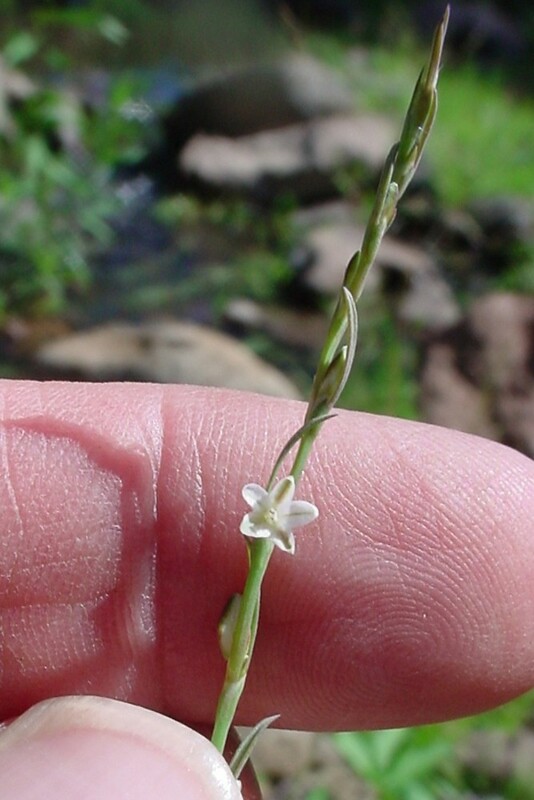 aviculare ssp. rurivagum (Jord. ex Boreau) Berher is known from CT, MA, ME, RI. 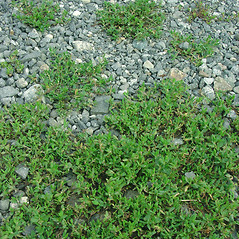 dooryard knotweed. 4a. 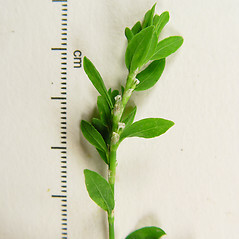 Polygonum aequale Lindm. 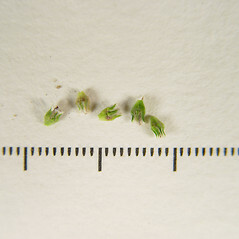 ; P. arenastrum Jord. 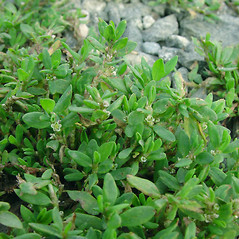 ex Boreau; P. aviculare L. var. 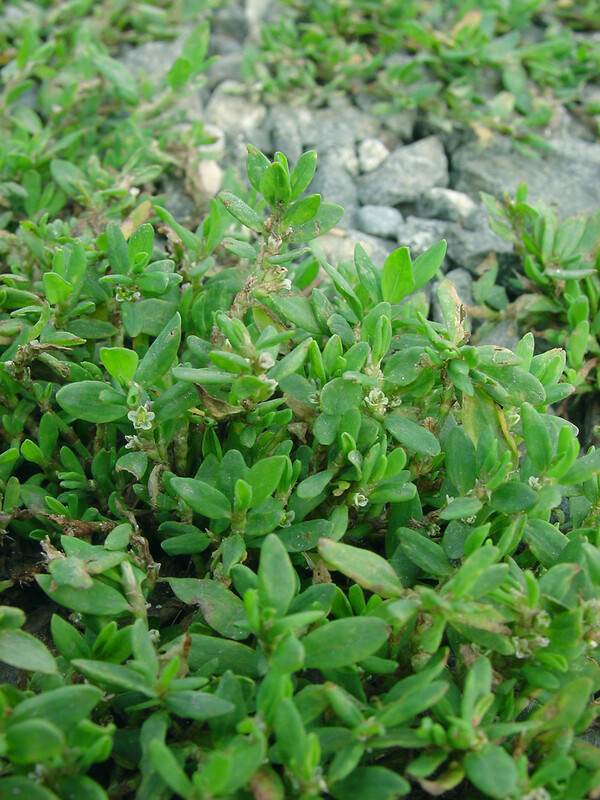 arenastrum (Jord. ex Boreau) Rovy; P. aviculare L. var. depressum Meisn. 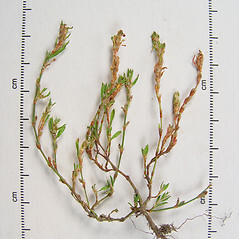 ; P. microspermum Jord. ex Boreau; 4b. 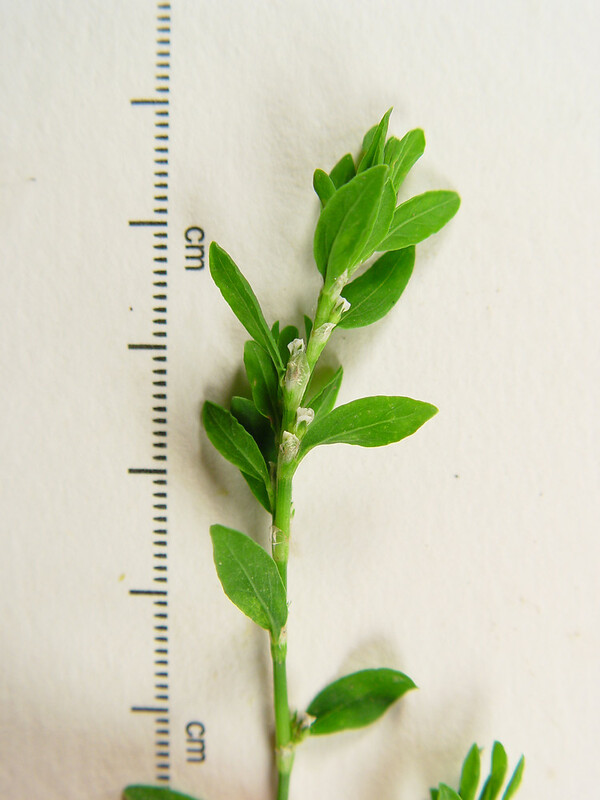 Polygonum aequale Lindm. ssp. oedocarpum Lindm. ; P. neglectum Bess. ; 4c. 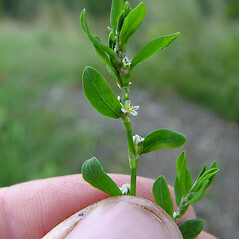 Polygonum aviculare L. var. vegetum Ledeb. ; P. heterophyllum Lindm. ; P. monspeliense Pers. ; 4d. 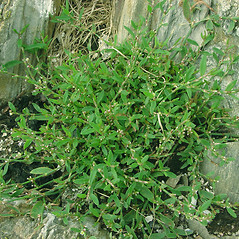 Polygonum aviculare L. var. angustissimum Meisn. 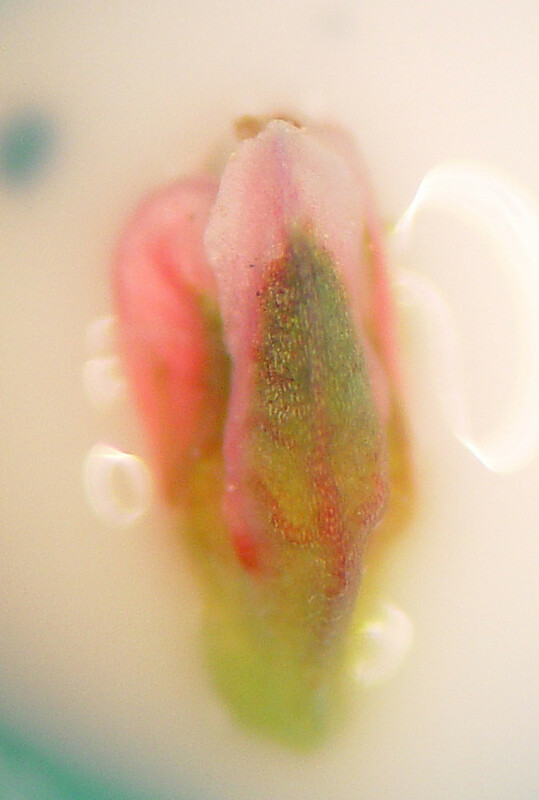 ; P. heterophyllum Aschers. & Graebn. var. angustissimum (Meisn.) Lindm. 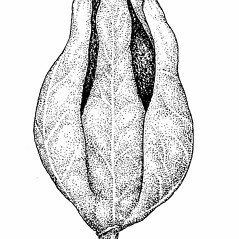 ; P. heterophyllum Aschers. & Graebn. ssp. rurivagum (Jord. ex Boreau) Lindm. ; P. rurivagum Jord. ex Boreau • CT, MA, ME, NH, RI, VT. Fields, roadsides, waste areas, railroads, yards, shorelines, cracks in pavement. 2a. 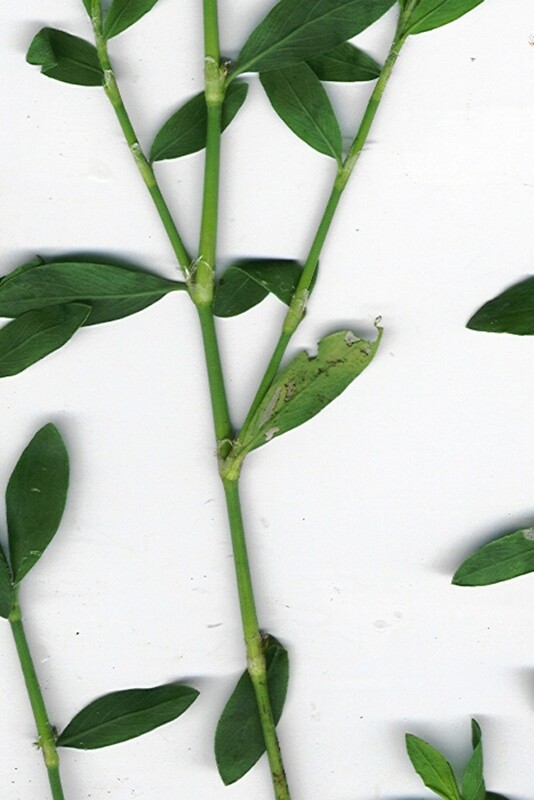 Tepals green or red-brown with white margins, basally connate 40–57% of their length, the outer ones with unbranched midveins or with 1 or 2 lateral veins; leaf blades 2.8–5.7 (–6.5) times as long as wide … 4a. 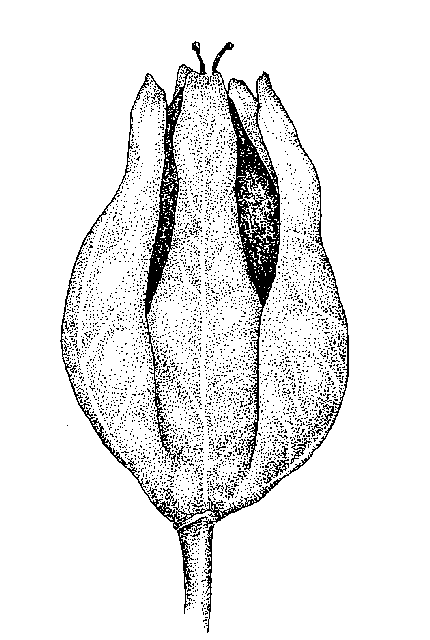 P. aviculare ssp. depressum (Meisn.) Arcang. 2b. 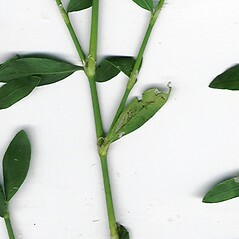 Tepals green with pink to red (rarely white) margins, basally connate 28–48% of their length, the outer ones with midveins usually showing 2 or more lateral veins; leaf blades (3.4–) 4.2–9.2 times as long as wide (in part) … 4b. P. aviculare ssp. 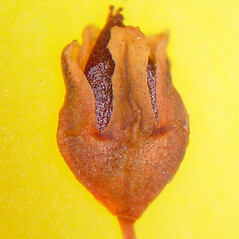 neglectum (Bess.) Arcang. 4b. 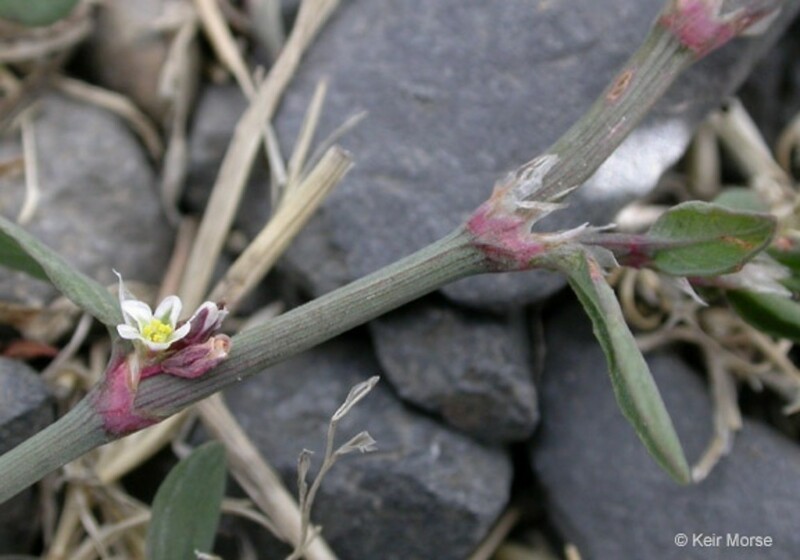 Sheathing stipules 4–8 mm long, with relatively fewer and more distant veins, the gaps between the veins mostly 3–5 times the width of the veins (in part) … 4b. P. aviculare ssp. 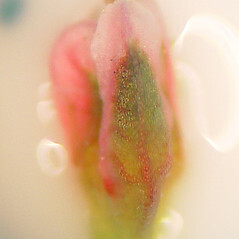 neglectum (Bess.) Arcang. 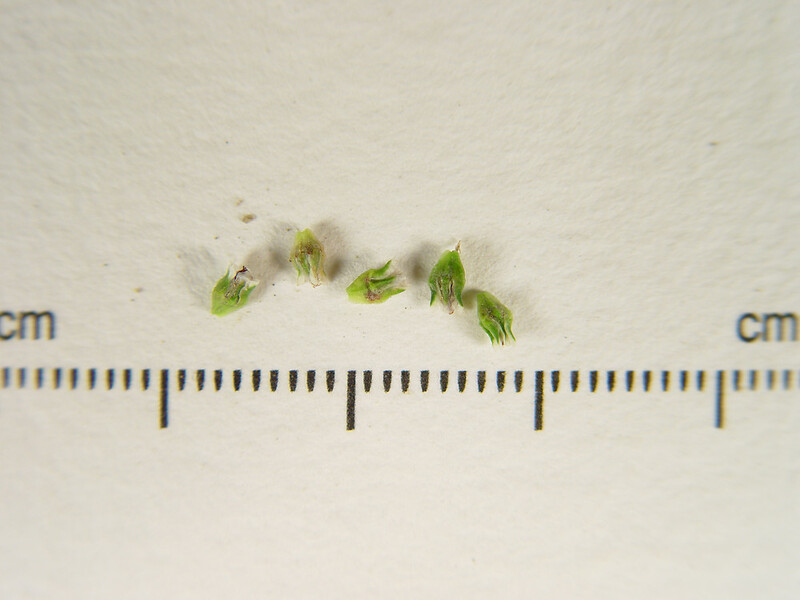 Subspecies depressum is known from CT, MA, ME, NH, RI, VT. Subspecies neglectum is known from CT, MA, ME, NH, RI, VT. Subspecies aviculare is known from CT, MA, ME, NH, RI, VT. Subspecies rurivagum is known from CT, MA, ME, RI; also reported from NH by Seymour (1982), but specimens are unknown. 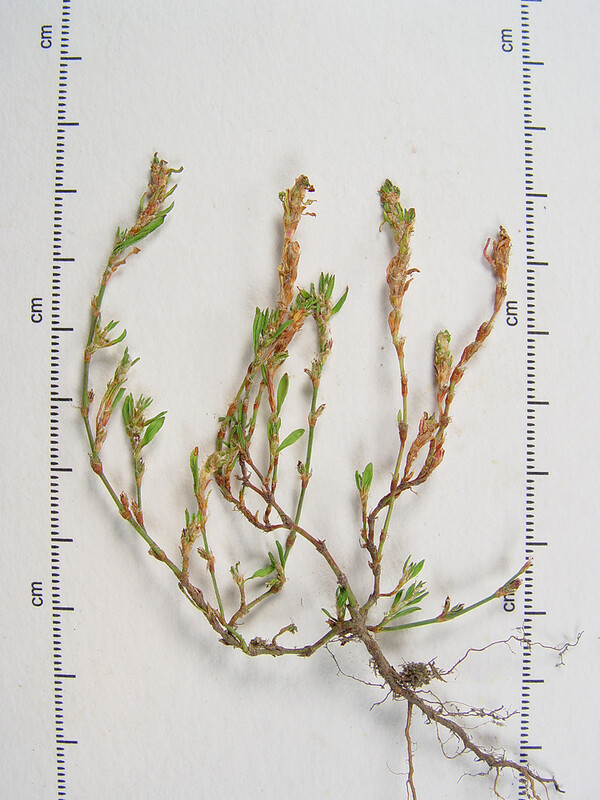 Subspecies aviculare is far over-reported, most collection are in fact ssp. depressum. In addition to characters used in the key, perianth length and achene length often help to differentiate these two subspecies—ssp. 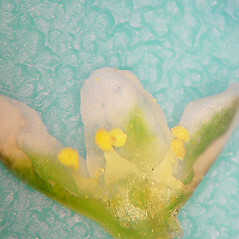 aviculare has tepals mostly 2.4–4.8 mm and achenes mostly mostly 2.4–3.7 mm and ssp. 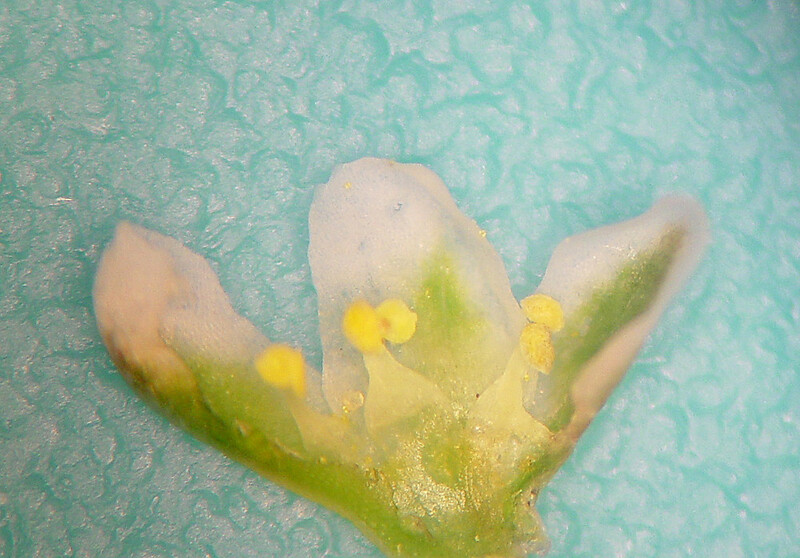 depressum has tepals mostly 2–2.7 (–2.9) mm and achenes mostly 1.8–2.8 mm.